Today is a historical day in the development of marozzo.com. I have made available the first instructional bit for you to enjoy. 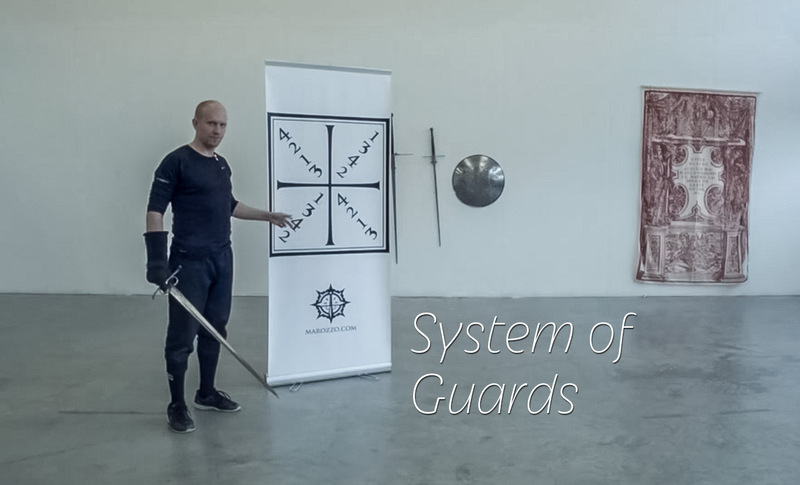 Instructional bits are short videos focused on a single subject, running for around 10 minutes and giving you something you can immediately apply in your practice or thinking of swordsmanship. The first one describes the way I now teach the Bolognese guards to beginners, without burdening them with the terminology of the guard names. I do teach the names of the guards too, but in the beginning an alternative way has proven more efficient, especially with students who are not Italian speakers. Wait, what? You are asking money for it? Making these videos costs me money and time, and while I do enjoy making them, we have to face certain realities. I direct the videos for those who think they would benefit from the content, and I’m confident I can set the price point so that there will never be disappointments. And if you have a different take on this, I still do post a lot of stuff free for everybody as well. Even in the marozzo.com shop. And on Youtube. And on this blog.